Can You Trust Your Trusted Advisers? A colleague of mine recently quoted a statistic that, on average, a CEO may receive something like 6% of the actual truth of what is going on in his or her organization. I found that stunning! That is a lot of fake news or less-than-accurate reporting bubbling up to the top. The CEO job is hard, and it can be lonely at times. CEOs are flooded with information, but true insight into what is going on within the organization is surprisingly scarce. Most information coming to the top is filtered, sometimes with good intentions, sometimes not. The trusted adviser relationship is truly a privileged role. It is one that develops organically over time. It is tested, in good times and especially in bad. Most successful executives cultivate a network of both internal and external advisers, who keep them honest, hold them accountable and share best practices and fresh perspectives. Most importantly, they provide an alternative hypothesis to counter the CEO’s assumptions when appropriate. Does the adviser have enough confidence to deliver tough, unpleasant or otherwise incongruent feedback that you might want or expect to hear? There are very few people capable of speaking truth to power and doing so requires confidence. The real benefit of a true adviser is that they are transparent and brutally honest in an environment where unfiltered truth is rare. They tell you what you need to hear, give you constructive feedback and don’t worry about hurting your feelings. Some, of course, take a delicate approach, while others apply blunt force. The important part is they do an excellent job of helping you understand the reality of a situation. Other than your best interest, do they have any kind of agenda? If so, are they transparent about that agenda? Very few people are in the position where they serve others with zero expectations in return. Those who do usually are volunteers, and even volunteers can have an agenda of some sort. It’s okay to have an agenda as long as (a) it is transparent and (b) it is unconditionally secondary to the primary purpose of offering trusted advice. A trusted adviser often is in the position of having to get you to consider different, potentially more difficult approaches or persuade you that you might be completely wrong about a person, situation, decision or strategy. In this capacity, they don’t morph their advice to fit your reality, but hold true to first principles. They are always on the look for new, different and better ways to help you. In my experience, trusted advisers always have thick skin. They also know when to back off and try again later. Perhaps the single most important characteristic of a truly trusted adviser is that they sincerely care about you. In today’s world, we usually can count on one or two hands at the most, the people who unconditionally care about us. The importance of having this network of trusted advisers is simple – to make sure that more truth makes it up through the organization to you. Effective CEOs create an environment that empowers people at all levels to tell the truth and respectfully disagree, and don’t punish bad news. The best CEOs often expand the power of those around them, creating a culture where people are encouraged to speak up and view mistakes as important opportunities to learn. CEOs also can make connections with leaders from middle management, which helps employees at all levels feel respected and that they have a voice. This can be a delicate challenge for CEOs, as they need to ensure they are able to find reliable information without undermining direct reports, who might feel that the CEO is going around them. If you are sensing a shortage of candor or concerned about the stunningly low percentage of the truth that makes it up to you, you may wish to examine your trusted adviser network and whether you’re fostering an environment that encourages trust and truth. 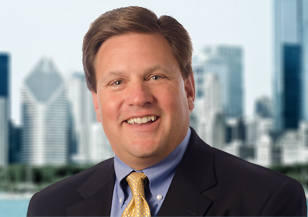 Steve Patscot is the North American leader of Spencer Stuart’s Human Resources Practice, where he advises CEOs, boards and senior human resources executives on leadership and succession planning issues. Reach him via email and follow him on LinkedIn. Insights on how leaders and organizations can embed inclusion and diversity in the workplace and make them part of the culture.